To one and all, I wish you festive fun for the holiday season, however you celebrate and whatever you believe in, but most of all I sincerely wish you peace, love, health and happiness throughout the forthcoming year. And remember: Enjoy comics responsibly. Strangehaven will return in May 2014. Those of you who have been patiently (and not-so-patiently) awaiting news of the next issue of Strangehaven since they read issue #18 many moons ago may want to read that again. I’ll wait. Yes, after an unanticipated and overlong hiatus, Strangehaven will indeed return in May 2014. New episodes, written and drawn by me will appear (starting in the first issue) in a newly revived comics anthology, Meanwhile… published by Soaring Penguin Press. 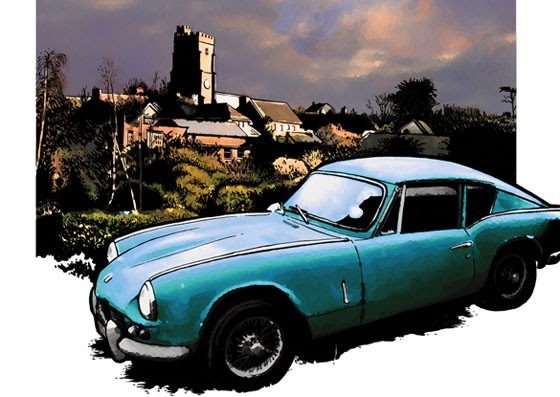 That is to say, as of this point, Strangehaven will no longer be self-published as a standalone comic, but instead will be one of the attractions included a new anthology comic from a fast-growing British independent publisher. Serious Strangehaven collectors may be recall a previous version of Meanwhile… sporting a Millidge cover and including a four-page strip way back in 2001, and indeed this is the same title from the same publisher. As I understand it, the new Meanwhile… will feature a mixture of continuing and self-contained comics in a new format bimonthly. I anticipate there will be 13-14 pages of Strangehaven per issue, which when complete will effectively comprise the fourth volume. So, why am I not self-publishing? It was certainly always my intention to continue and complete the series as a self-published title, but due to various professional, personal and financial reasons (the full account will have to wait for another time) it simply hasn’t been possible for me to do so. But for the past year or so I have been actively preparing for its return and trying to find a way of delivering it to my readers. In a nutshell, I needed time to sit down and draw it (and in a freelancer’s world, time literally is money) and to do that I needed some sort of advance on royalties, and in the comics world this usually means surrendering at least some of the intellectual rights – which after already spending twelve years or so writing and drawing the series, I was not prepared to give up. And the amount of time (i.e. money) required for me to finish the fourth volume is significant enough that any private funding (by way of private investor or Kickstarter) would be difficult to secure because of the length of time between funding and delivery. Step forward John Anderson, Soaring Penguin publisher, with an offer that included things like advances on royalties and no claim to copyright. As John will testify, I still took a lot of convincing (temporarily at least) to abandon my self-publishing philosophy, and the contract details took a while to iron out. Ultimately, I had to choose between this opportunity to get the fourth volume of Strangehaven completed and out into my reader’s hands, or to let it remain in limbo while I continued to figure out a way of having my cake and eating it. So, although this solution compromises my purest principles of independence, I figure that my readers would rather see new episodes however they were emerged, than to wait for some further unspecified period. And, so do I. It’s been far, far too long people. I understand that Meanwhile… will be available in electronic format courtesy the SEQUENTIAL app, and the print version will be available in all of the finest UK and US comics stores (full distribution details still being ironed out) or direct from Soaring Penguin. 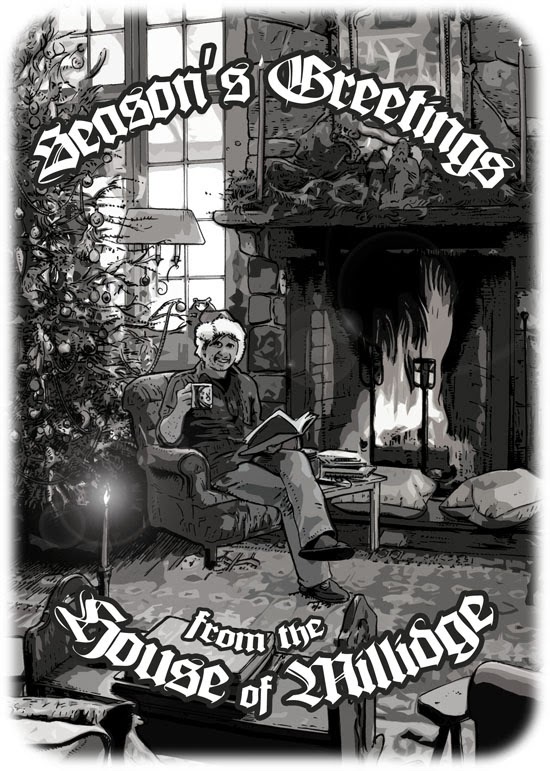 For those of you who are planning on ‘waiting for the trade’ – the intention is that the fourth volume will be serialised in the anthology in twelve parts over a period of approximately two years, and obviously, any subsequent collection won’t appear until some time after that. It’s too early to say any more at this stage. After hearing John’s plans for this new project, Meanwhile… will rock, and I hope that you’ll support this ambitious endeavour. Please consider signing up to my email newsletter by entering your e-address into the box in the right-hand column, to be informed of developments. Or you can follow this blog, or keep in touch via Facebook or Twitter. Strangehaven is on its way back, friends. Rejoice. Note to current Strangehaven subscribers: I have been making efforts to contact each of you regarding the outstanding issues of your subscriptions via email, social media and for those of you who I don’t any other contact for, via regular mail. It’s likely some of these contacts are out of date, so please, if you believe you have a current subscription, please contact me via my usual email address.